The experience of deep loss is more common than we often realize; the need for bereavement counselling is greater than we often suppose. Often, bereavement counselling issues arise in depth psychotherapy that was begun for other purposes. Everyone grieves differently. Differences in personality type, culture, life experience, and many other factors all directly bear on how an individual grieves. Every relationship that an individual has with another is a unique combination, and this uniqueness also colours the character of each grief. Grieving individuals often fear that they will be “stuck” in bereavement forever — that the pain will never diminish. 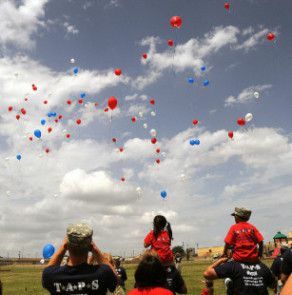 Certainly, loss is permanent, and the sense of loss of a loved one is always in a person’s life. But the acute pain of an initial grief reaction is something that, in his or her own time, and in his or her own way, the individual’s unconscious transforms into another way of holding the person who has passed. Grief has a course in our lives. Although Kubler-Ross was right about the range of emotional states and stages that a person can experience in grief — Denial; Anger; Bargaining; Depression and Acceptance — it appears that the order and intensity of these stages can vary, and not all of them are necessarily experienced by every grieving person. The path of grief is indeed a journey, as individual as each of the people who travel it. Grief goes on in both the conscious and the unconscious minds, and is reflected in the meaning of dreams. Jungian Mary Mattoon tells of a middle-aged woman who dreamt of visiting her deceased mother, who was unaccountably “crabby and inhospitable” in the dream. In therapy, she began to realize that she had been quite depressed for many days leading up to the dream. It turned out that the dream occurred almost exactly on the first anniversary of her mother’s death. Due to the very serious illness of a child, the woman had been unable to be psychologically present to her loss. The unconscious mind summoned her back to do her own grief work. I believe it is the master work of human life to be able to look at grief and death, and to say: soul is here; meaning is here. Bereavement counselling from a depth psychology perspective is about accepting, ultimately making peace with, and finding meaning in, loss. 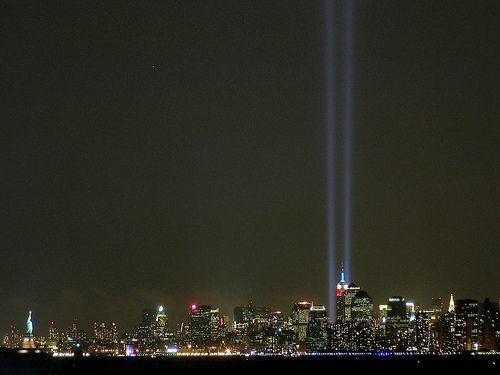 Ten years on, changes in the ways 9/11 is commemorated can teach us a great deal about bereavement, about grief counselling, and about transformations and processes in grief. The Globe and Mail article “After 9/11: for some it’s time to move on” highlights ways in which, 10 years on, the grief of relatives and survivors is undiminished, yet undergoing transformation. 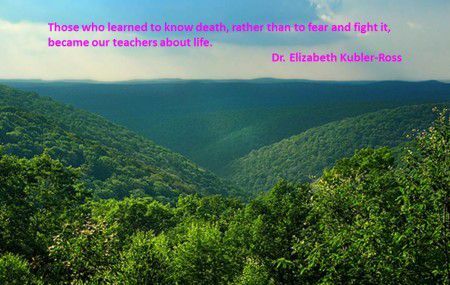 Grief counselling teaches us that grief evolves. Particularly where loss is sudden or unexpected, it can result in feelings often as overwhelming as complete despair and hopelessness. But the feelings can and do change, as the work of grief gets done over time. The loss is not felt any less, but felt in a different way. Interviews with 9/11 survivors show that grief is experienced differently by different people. For some, the grief reaction is as keen and raw as on the original 9/11; for others, not. Grief counselling shows no one “right way” to respond to grievors: we have to listen to their stories, and respond individually. For some 9/11 grievers, a kind of healing has come with the passage of time. The impact of their loss has not diminished. But, there is some way in which they are starting to come to terms with it, and to find ways to move back into their lives. They have found some kind of meaning and life energy that draws them. In his 9/11 address, Mayor Michael Bloomberg said, “We can never unsee what happened here.” That’s true. No one who has seen them will ever forget the dreadful images which the media with seeming relish keeps unrelentingly inflicting on 9/11 survivors and bereaved loved ones. One clear lesson: that’s not the way to help anyone heal from post-traumatic stress disorder. Jungians recognize that, if a grieving individual can put the loss of the loved one into a meaningful context, and find a way to relate to the memory and personal reality of the lost loved one, life can go on. Often, this return of life is experienced as the re-awakening of the desire to be in life. I wish all of you, and especially those who may currently be carrying the burden of grief, the gift of meaning on your journey towards wholeness. The sad early passing of beloved Canadian political leader Jack Layton teaches us much about bereavement and grief counselling as archetypal experience. Millions felt personally connected to Jack. His warmth, deep personal conviction and love of Canadians made him a beloved figure on our political landscape. We feel deep sadness and personal loss at his sudden decline and passing. As a nation, we have experienced some of the key characteristics of grief reactions. 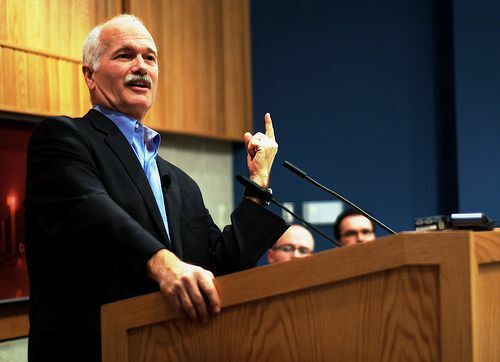 We saw Jack Layton on TV when he stepped aside in July. We must have been aware that he did not look like his former self, and was obviously a very sick man. We really knew he would not turn over the reins of the NDP without an extremely good reason. Yet we experience deep shock upon his passing. We feel outrage in the face of death, when someone passes at an age that seems far too young, as with Jack Layton, aged 61. On a level that I believe is archetypal, we have a sense of what is a complete or full life. When someone dies before that time, we feel that it is bitterly wrong. It should somehow have been different. The death of a loved one fills us with a sense of powerlessness, even despair. We’re overwhelmed with the desire to do something to make it better, to remove the sense of loss. But there seems so little that concretely can be done. The loved one’s absence is so formidible and so unavoidable. With time, we begin to find ongoing value and meaning in the life of the lost loved one. We realize the ways in which we still carry the loved one within us, and how that brings meaning. Through recall and ritual, we find ways to keep the person’s memory alive. So it will be for us, remembering, celebrating and living out the spirit of Jack Layton, a man who, now forever, is “Le Bon Jack“.